House prices soared 9pc in a year on the back of new buyers clamouring to get hold of property in limited supply. 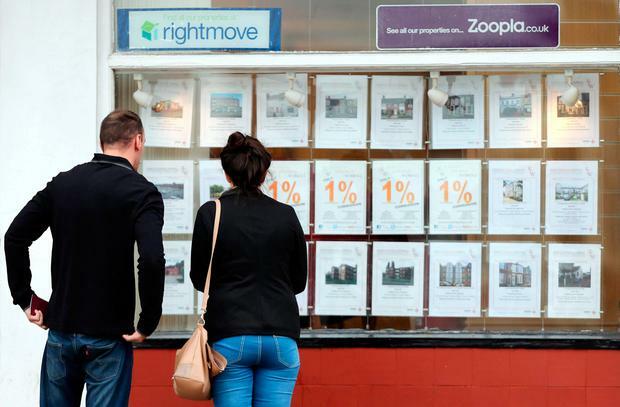 The 'Help-to-Buy' scheme and looser credit conditions are expected to push Irish house-price inflation into double figures this year, amid fears the housing bubble is back. Economists have questioned the need for the scheme as two separate property reports show that prices both in Dublin and elsewhere are rising at their strongest level in years. Today the MyHome.ie property report, in association with Davy, showed that the annual rate of house price inflation was 5.5pc nationally and 6pc in Dublin for the first three months of the year. It means that the annual rate has surged to 9pc nationally and over 10pc in Dublin. Conall Mac Coille, chief economist at Davy, said: "Credit conditions are clearly supporting the market. The average mortgage approved to first-time buyers in February was €206,500 - up by an enormous 15.2pc on the year from €179,000. This must in part reflect the relaxation of the Central Bank rules. "In addition, would-be first-time buyers are now also armed with the 'Help-to-Buy' scheme, which is likely to push-up the price of newly built homes. "Indeed, price inflation on newly built homes has now accelerated to 12pc, well above the 5pc rise in the asking price on the stock on second-hand homes. "Having lagged behind the rest of Ireland in 2016, prices in Dublin have found renewed momentum. While the strong economic recovery was always likely to lead to strong price gains nationally in 2017, it appears the 'Help-to-Buy' scheme coupled with the loosening of the Central Bank lending rules has added impetus to an already robust market." Rising prices were evidence in the country's main cities. In Cork city the rise was 9.3pc, with the average price now at €235,000. Limerick, Galway and Waterford also saw notable price rises. The report comes just 24 hours after property website Daft.ie said that prices rose by an average of 4.3pc during the first three months of the year. This was the largest three-month increase in two years, according to the latest Daft.ie report. The national average list price during the first three months of 2017 was €230,000. Daft said this is almost 10pc higher than a year previously. New buyers are behind a rise of almost 9pc in the annual rate of property inflation in Dublin. Last year the rise was just 1pc over the same period. Price rises outside the capital are even stronger. Galway and Limerick have both seen prices surge by 16pc. Amid the price rises, there has been a huge shrinkage in the number of properties put on the market. There were just 20,500 properties for sale in March, almost half the total in the same month last year. It is the lowest number of properties for sale since October 2006. When the property market was at its peak in October 2008, there were 63,000 properties for sale. Economist at Trinity College Dublin and author of the Daft.ie report Ronan Lyons said first-time buyers were behind the price surge. "The combined effect of the tweaks to Central Bank mortgage rules and the new Help-to-Buy scheme has been to significantly stimulate first-time buyer demand." Prof Lyons questioned the need for the Government's Help-to-Buy scheme, which was creating more demand at a time when there is a limited supply of properties to buy. "While there may have been a political motive to these measures, it is important to know that the chronic lack of construction activity becomes the main focus for policymakers," he said. About 3,000 first-time buyers are understood to have applied so far for the scheme, which offers a 5pc tax rebate on the purchase of a new home for eligible applicants, up to a maximum of €20,000.